The boat parade begins at 6pm on Saturday, November 30th, with fireworks following the parade. 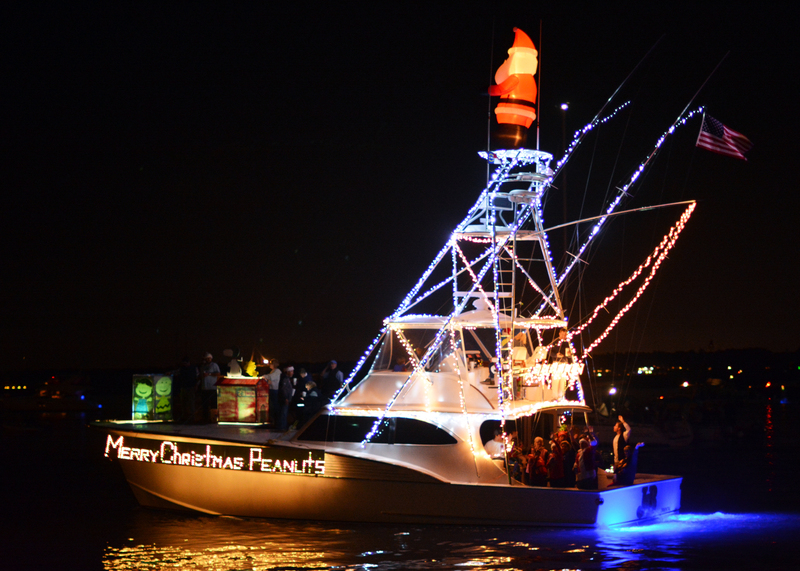 The duration of the boat parade varies every year by the number of boat entries. There is no official location to watch the parade, but you can park in the Wrightsville Beach park parking lot and walk to any number of vantage points along the parade route, including the Banks Channel Bridge, the two South Harbor Island mini-parks, or the west side of Waynick Boulevard. There will be fireworks following the parade.